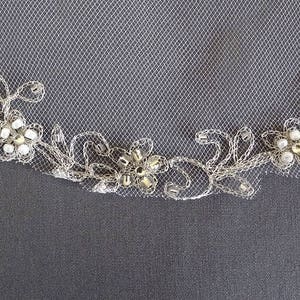 Beaded veil with a double row of hand-sewn sparkling silver bugle beads trimmed along the entire edge. 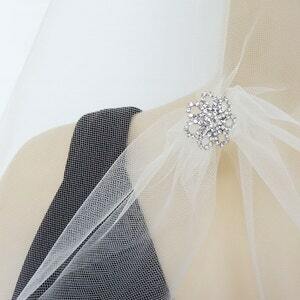 The perfect versatile silver beaded wedding veil to match a silver beaded gown. 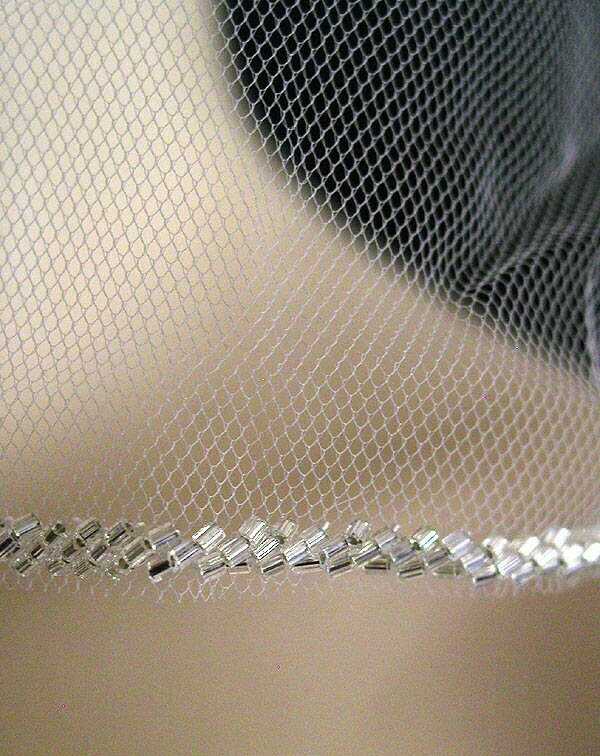 It is made of quality English tulle gathered to a flexible wire metal comb. 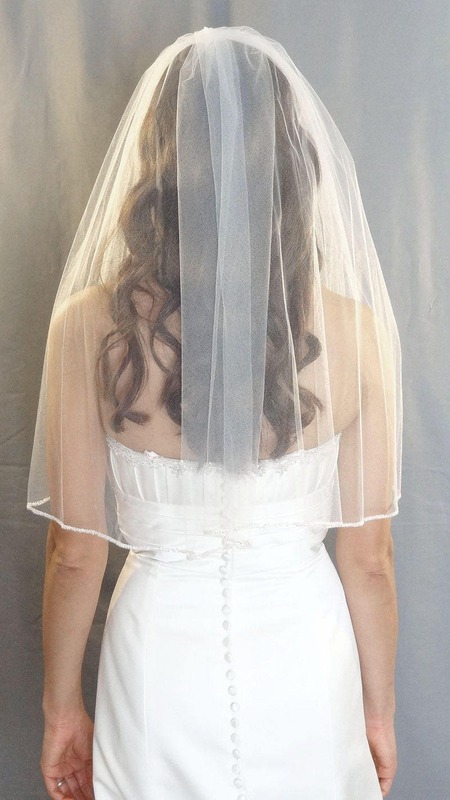 Available in 1 tier elbow or fingertip lengths bridal veil. 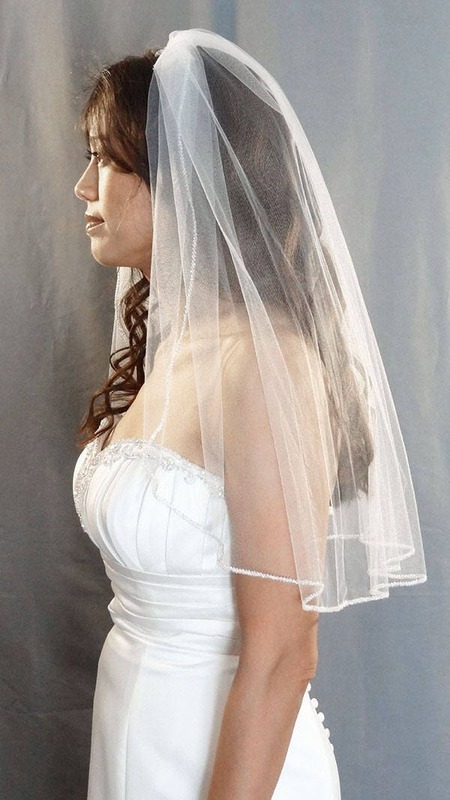 Or two layer beaded edge cathedral veil. 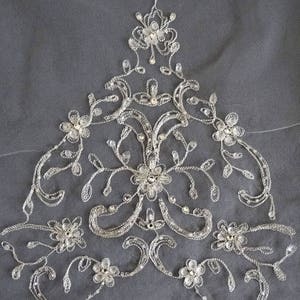 Not available in other custom lengths or styles. 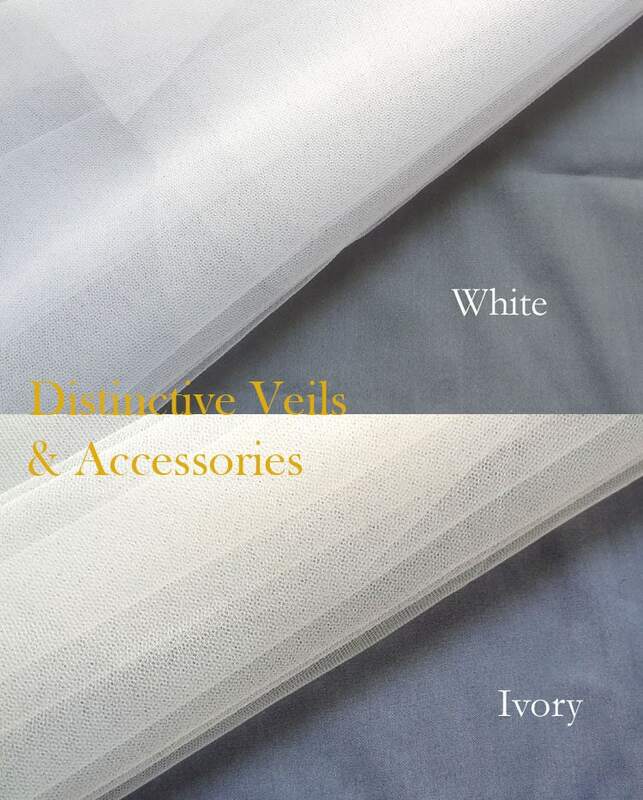 White or ivory only. Made to order. ***Allow 4-6 Weeks Production Time. Ships USPS Priority Mail (2-3 Business Days thereafter for US Locations). Allow more time for international locations.